Anthony Cassimatis is a Professor at the TC Beirne School of Law, the University of Queensland. Professor Cassimatis teaches administrative law and public international law. He is the Director of the Centre for Public, International and Comparative Law at the University of Queensland. He was the chairperson of the Australian Red Cross' International Humanitarian Law Committee for Queensland from 2005-2018. Professor Cassimatis is the author or co-author of 4 books and numerous articles and book chapters on public international law, administrative law and legal advocacy. He is the editor in chief of the Australian International Law Journal. He has been academic coordinator of teams representing the Law School in the Philip C Jessup International Law Moot Court Competition over many years, including teams that have won the Australian national rounds of the competition (2005, 2012 and 2014) and the Jessup Moot World Championship in Washington DC (2005 and 2014). Professor Cassimatis was a Visiting Fellow at the Lauterpacht Centre for International Law at Cambridge University in 2007 and 2018. In 2017, Professor Cassimatis received a national Citation for Outstanding Contributions to Student Learning from the Australian Government. Professor Cassimatis' research interests include international law, administrative law and public law generally. Book Chapter: Australia's codification of judicial review: has the legislative effort been worth it? Billings, Peter and Cassimatis, Anthony (2014). Australia's codification of judicial review: has the legislative effort been worth it?. In Matthew Groves (Ed. ), Modern administrative law in Australia: concepts and context (pp. 180-204) Port Melbourne, VIC, Australia: Cambridge University Press. Cassimatis, Anthony E. (2010) Judicial attitudes to judicial review: A comparative examination of justifications offered for restricting the scope of judicial review in Australia, Canada and England. Melbourne University Law Review, 34 1: 1-33. Journal Article: Government procurement following the Australia US Free Trade Agreement - is Australia complying with its obligations to provide remedies to unsuccessful tenderers? Cassimatis, Anthony E. (2008) Government procurement following the Australia US Free Trade Agreement - is Australia complying with its obligations to provide remedies to unsuccessful tenderers?. Sydney Law Review, 30 3: 412-438. Cassimatis, A. E. Human rights related trade measures under international law. Leiden, The Netherlands: Martinus Nijhoff Publishers, 2007. For leadership, innovation, scholarship and the creation of a global network of international lawyers to guide and inspire students to achieve excellence and career success. Australia's codification of judicial review: has the legislative effort been worth it? Government procurement following the Australia US Free Trade Agreement - is Australia complying with its obligations to provide remedies to unsuccessful tenderers? Cassimatis, Anthony E. and Billings, Peter Thomson Reuters Guide to Mooting. Pyrmont, NSW, Australia: Thomson Lawbook Co, 2016. Cassimatis, Anthony E., Lacey, Wendy, McNaughton, Anne and Rayfuse, Rosemary An Australian companion to Harris: Cases and materials on international law 2nd ed. Pyrmont, N. S. W., Australia: Thomson Reuters (Professional) Australia, 2011. Anthony Cassimatis and Terry Gygar Mooting Manual 1st ed. Sydney: Butterworths, 1997. Cassimatis, Anthony (2018). International law and governance in the 21st century: disorder and order in a fragmented world. In Danielle Ireland-Piper and Leon Wolff (Ed. ), Global governance and regulation: order and disorder in the 21st century (pp. 15-24) Abingdon, United Kingdom: Routledge. Billings, Peter and Cassimatis, Anthony (2013). Irregular migration, refugee protection and the 'Malaysian Solution'. In Angus Francis and Rowena Maguire (Ed. ), Protection of refugees and displaced persons in the Asia Pacific Region (pp. 135-169) Farnham, United Kingdom: Ashgate Publishing. Cassimatis, Anthony E. (2011). Developing countries, trade, and human rights: Free trade agreements, development needs, and the European Union's Generalized System of Preferences. In Yong-Shik Lee, Wong Mog Choi, Gary Horlick and Tomer Broude (Ed. ), Law and development perspective on international trade law (pp. 277-296) New York, NY, United States: Cambridge University Press. Cassimatis, Anthony E (2008). Developing states, the generalized system of preferences and trade measures to enhance human rights. In Ross Buckley, Vai lo Lo and Laurence Boulle (Ed. ), Challenges to Multilateral Trade: The Impact of Bilateral, Preferential and Regional Agreements 1st ed. (pp. 201-219) The Netherlands: Kluwer Law International. Cassimatis, Anthony E. and Billings, Peter (2013) Statutory judicial review in Australia: a comparative analysis of the Australian Capital Territory, Queensland and Tasmanian schemes. Journal of Judicial Administration, 23 2: 73-129. Billings, Peter and Cassimatis, Anthony E. (2013) Twenty-one years of the Judicial Review Act 1991: enhancing access to justice and promoting legal accountability?. University of Queensland Law Journal, 32 1: 65-101. Billings, Peter and Cassimatis, Anthony E. (2009) Re-designing the Northern Territory emergency response - Social welfare reform and non-discrimination. Law in Context, 27 2: 58-89. Cassimatis, A E (2006) Statutory Judicial Review and the requirement of a Statutory effect on rights or obligations: Decisions under an enactment. Australian Journal of Administrative Law, 13 4: 169-185. Bantz, Vincent P., Baird, Rachel and Cassimatis, Anthony E. (2005) After 60 years: The United Nations and international legal order. University of Queensland Law Journal, 24 2: 259-278.
International trade and human rights - which human rights? Cassimatis, A. (2001) International trade and human rights - which human rights?. International Trade and Business Law Annual, 6 19-63. Cassimatis, A. E. (2001) The prospect for parity rights in Australia. IUS Gentium, 7 Fall 2001: 87-98. Cassimatis, Anthony E. (1998) Torts - Defamation - Release of a Joint Tortfeasor and the Defence of Innocent Dissemination. King's College Law Journal, 8 136-139. Anthony Cassimatis (1997) Defamation - Bellino v Australian Broadcasting Corporation. Qld Lawyer, 17 143-145. Cassimatis, Anthony E. and Jonathan Dooley (1997) Recovery of the Fox v Wood Component in Personal Injury Actions. Qld Lawyer, 17 109-110. Cassimatis, Anthony E. (1997) Theophanous - A Review of Recent Defamation Decisions. Torts Law Journal, 5 102-108. Anthony Cassimatis and Jonathan Dooley (1996) Calculation of Loss of Superannuation Benefits in Personal Injury Actions. Qld Lawyer, 17 5-9. Anthony Cassimatis (1996) Defamation - The Constitutional Public Officer Defence. Tort Law Review, 4 27-43. Anthony Cassimatis (1996) Solicitors and Negligence - The Scope of the Duty of Care Owed by Legal Advisors. Qld Lawyer, 17 77-79. Anthony Cassimatis (1996) Somewhat Forgiving - Contirbutory Negligence- Drunk Drivers and Drunk Passengers. Qld Lawyer, 17 45-46. Cassimatis, Anthony E. (1996) The Law of Defamation in Queensland. Qld Lawyer, 16 159-168. 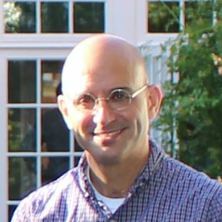 Cassimatis, Anthony E. (Anthony Emanuel) (2004). The legality of trade measures taken by states in response to human rights violations in other states PhD Thesis, School of Law, The University of Queensland. The use of force in response to a low level attack: what are a state's rights? Civil-Military 'Legal' Relations: Where to from Here?